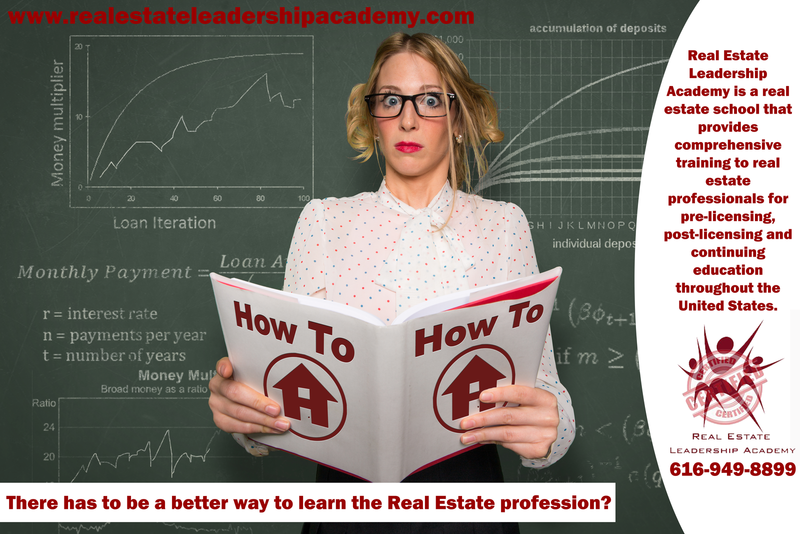 There has to be a better way to learn the real estate profession! Ever feel like you really want to make a career change, but can’t afford to quit your current career while preparing for your knew one? 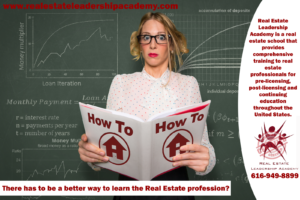 That’s where realestateleadershipacademy.com‘s real estate pre-licensing and continuing education courses come in. Our online real estate training courses are designed specifically with the individual who is currently working in mind. Our courses are 100% held online and are easily accessible from smart phones, tablets, and desktop computers. This means that you can work on a lesson while you’re on a bus, after work, on your lunch break, or the weekend. Check out our list of real estate salesperson pre-licensing courses and our pre-license broker courses here.